Making greeting cards helps kids feel part of holiday traditions. Involve little ones with sending your family's holiday greeting cards this year by completing this fun weekend challenge. Kids love being included in holiday preparations and excitement, and while some tasks might be too big for them, making and sending these greeting cards is fun and easy. In addition to feeling good about contributing to your family’s holiday traditions, children will exercise their creativity and build social-emotional skills as they make something with others in mind. They will also build fine motor skills, stuffing and sealing envelopes and applying stamps and address labels. 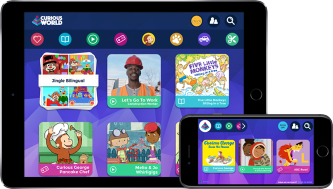 Once your cards are ready to mail, take your child to the post office or mailbox to round out their learning experience. 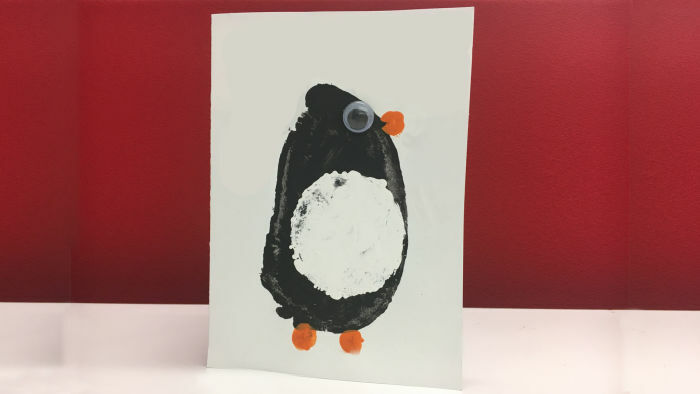 Follow the simple steps below to create this adorable potato print penguin card with your child. Get a sheet of card stock and fold in half. Cut a large potato in half and brush with black paint. Stamp the potato on to the card and let dry. Cut a smaller potato in half and brush with white paint. Stamp on top of the black circle to form the penguin's white belly. Dip your finger in orange paint and press for 2 feet and a beak. Finish with a googly eye. Pick whom to send the card to. Choose a friend, relative, or neighbor. When the card is dry, write a greeting inside and mail it! Discuss how the recipient will feel when he or she receives the card. Visit the Curious World Blog's Family Activities page to find more fun weekend activities to explore with your child.